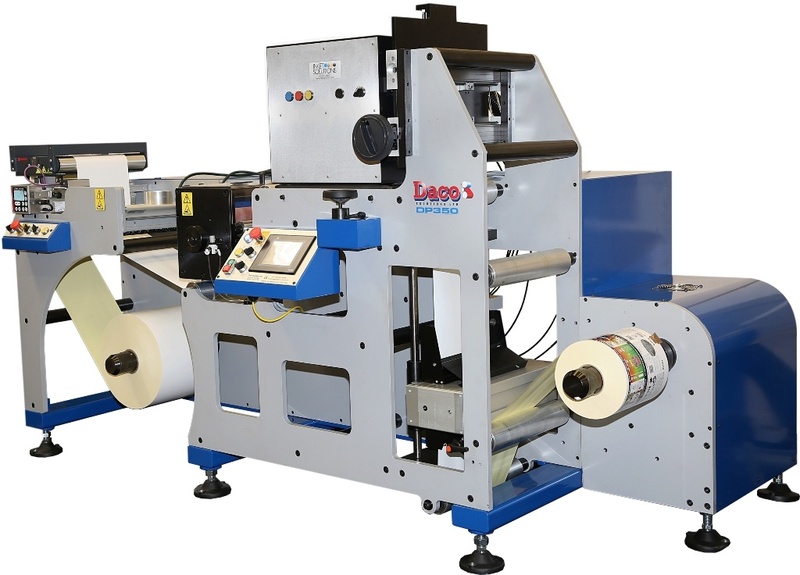 The Daco SVT fully automatic turret rewinder series of servo driven offline turret rewinders are a very flexible label converting machine. 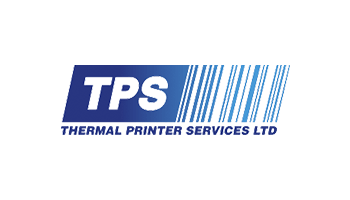 The 4 spindle turret rewinder offers quick change over times, which coupled with a colour touch screen operator interface makes the machine both interactive and user friendly. 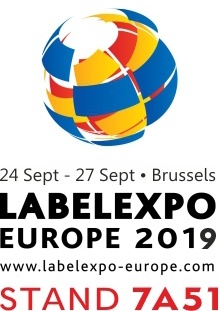 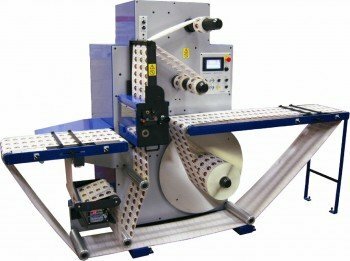 Launched at Labelexpo 2017 the machine was very well received due it simplicity and the unique gluing system. 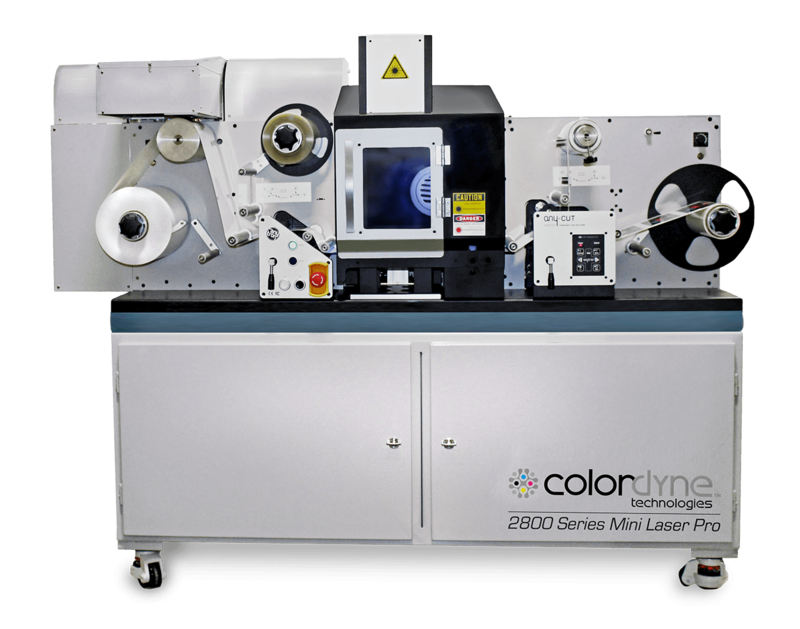 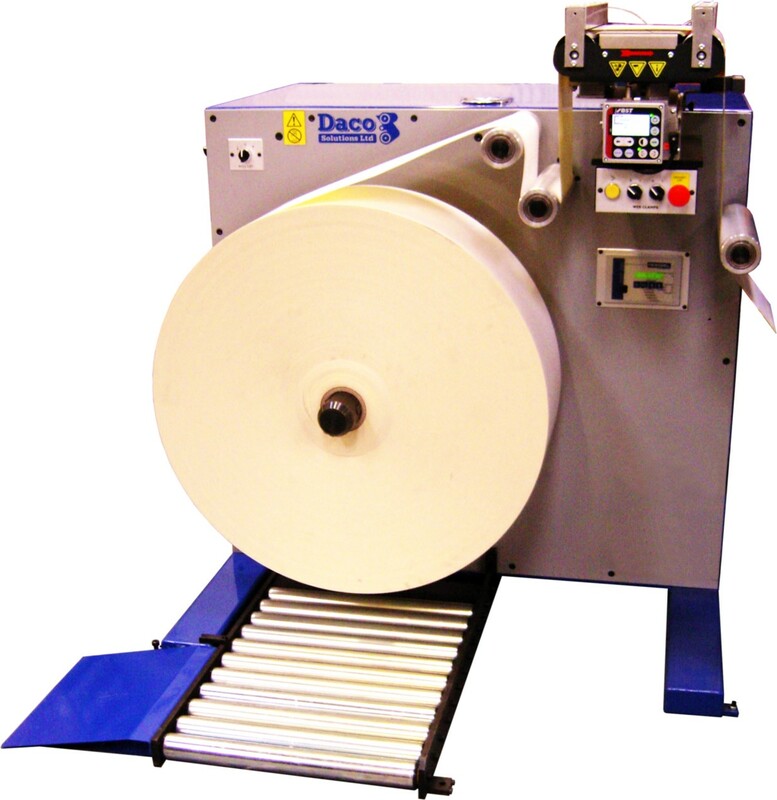 The Daco SVT utilises a unique double sided tape system (patent pending) for attaching the web to the cores, and the finished rolls are closed using a label printed by an on-board thermal transfer printer. 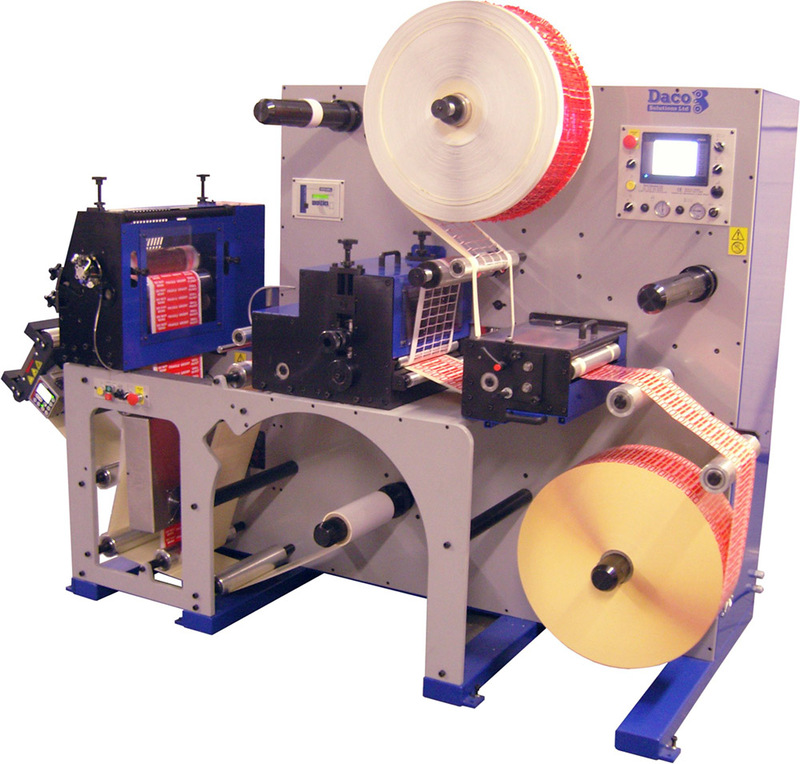 This totally eliminates the need for expensive and complicated hotmelt gluing systems which often cause problems for both machine operators and end users. 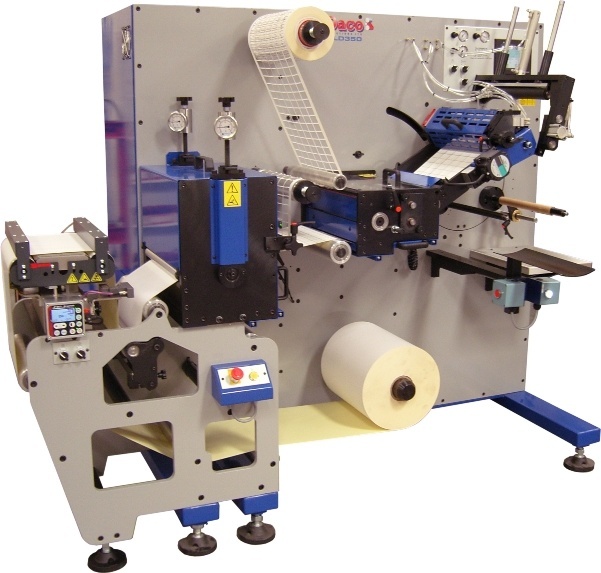 With the operator in mind the SVT has job storage so that previous tension settings, counts etc can be recalled and with minimal mechanical settings makes the machine very simple to setup and operate. 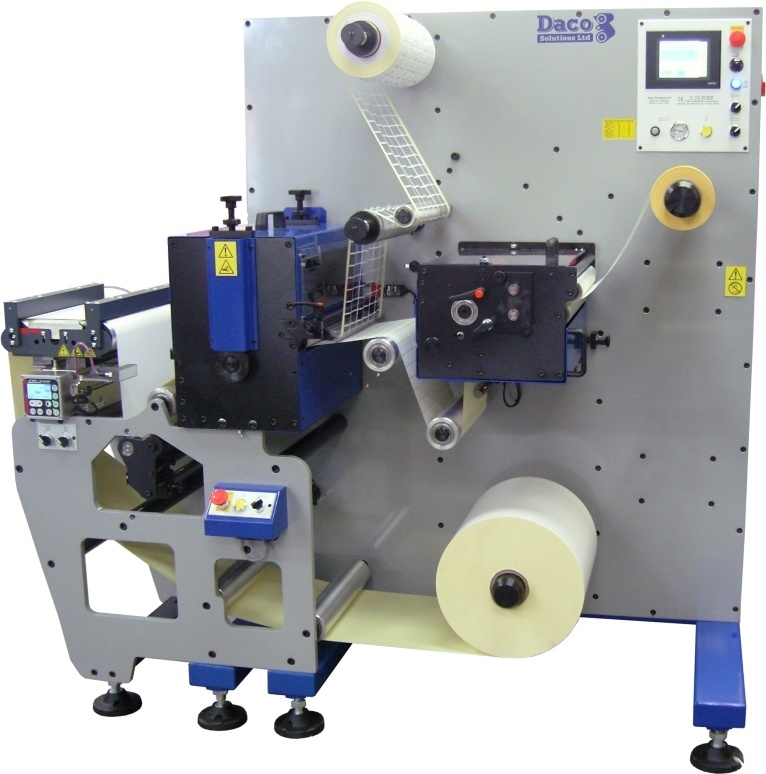 The SVT turret can be run inline with the Daco Solutions range of rotary die cutting equipment and forms parts of the ever popular Daco TD plain label converting solution.